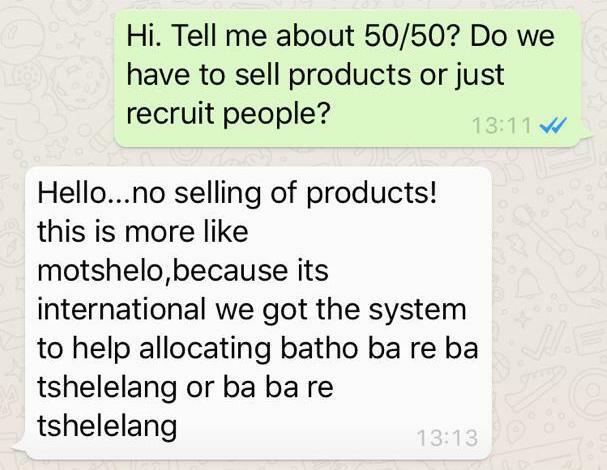 Here comes another pyramid scheme, calling itself "50/50 Crowdfunding". This is how they describe their business model. They make absolutely no reference to any products on their web site, just that you recruit other people and make money. One of their advocates on Facebook describes the process. 50/50 Crowdfunding won't make you any money, but it might cost you a lot and even your liberty. A consumer invested P42,000 in 2 education policies. He later defaulted on some premiums because he had resigned from his job to start own business. Given his new situation he decided to cancel the policies and attempted to withdraw the money he'd invested so far. The surprise was how much was returned to him. This was an example of “front-loading”. Long-term investment products, such as education policies are meant to last for many years, maybe 10 or 20 years. But the agents and brokers selling these products don't want to wait that long to get their commission. If you read the small print you'll see that the admin expenses and commissions are often taken in the first year or two of the policy. It's only after a few years that your money starts to grow. BUT, do consumers understand this? Did the agent or broker that sold them the policy explain this? Did the insurance company do enough to ensure that their customers understand? There is a lot of confusion about investments and insurance policies. Investments and savings schemes are about putting money somewhere safe. With luck you might even earn some interest on the money you contribute but remember "front-loading". Insurance is about transferring risk, or at least the financial cost of risk. Whether it's your vehicle, your house or its contents, your health or your life, an insurance policy will cover the cost of something bad happening. 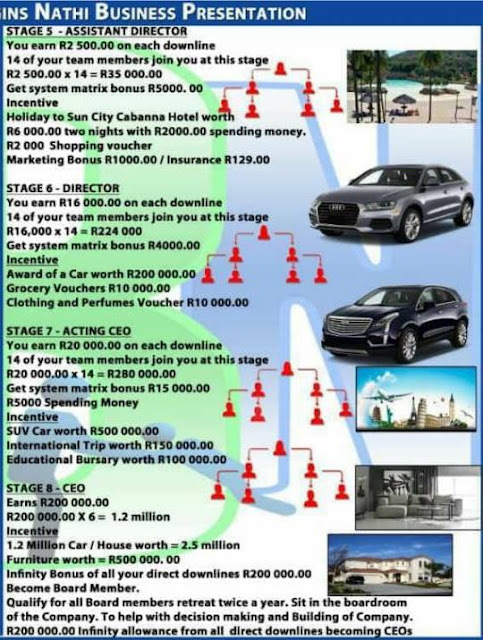 Level 8 CEO (yet another car, now worth R1,200,000, a house valued at R2,500,000 along with furniture worth R500,000). 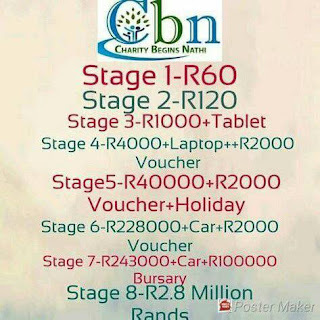 CBN is a blatant pyramid scheme. Please don't risk your money, effort and time. And your liberty. And some more. 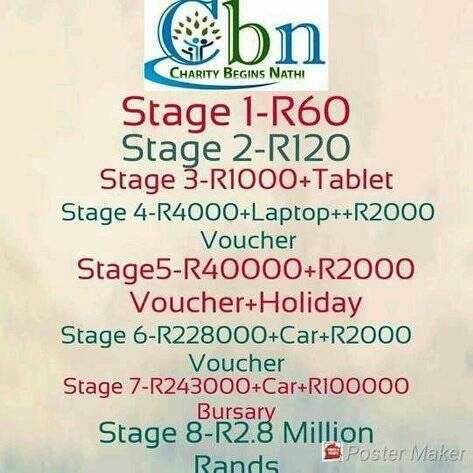 Some screenshots of conversations with people marketing CBN in Botswana. Section 13 (1) (a) of the Consumer Protection Regulations requires suppliers to offer commodities and services that are "of merchantable quality". It doesn't say they must prevent you or your children from breaking things. In this case the store hasn't done anything wrong. Your child broke the device and it's your responsibility to either pay for it to be fixed or to buy a new one. I bought my son a tablet for P399 and its still under warranty. Now after two weeks my son tells me the screen broke and I decided to check with the store for repairs. They said they don't repair broken screens, so I asked where I can get replacement screen and they said I should check one of the shops at the bus rank. To cut the story short I went all over looking for the screen replacement and I failed to get one since July. I decided to go back and I explained the above to the store where they also felt my concerns and struggles. They called me after few days and explained that they can help me provided I pay P300 for screen, I then told her that am not happy because the price is worth buying a new one. 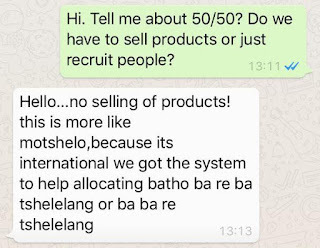 She referred me to the manager who also said he can only help me by replacing the tablet with another one provided I pay P300 and that's an instruction he got from his superiors in South Africa. 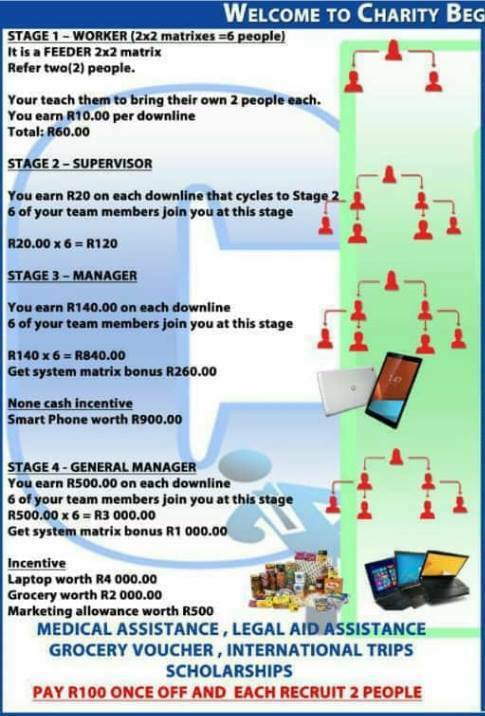 I am not impressed at all with this because I even pleaded with manager to say they can’t charge me almost the same amount as new tablet and I even offered to at list pay P200. I now want my money back so that I can go and buy item which has spare parts around. I feel this is not right. We are been sold product which cannot be repaired any way in our country. Unfortunately, there is currently no right for a consumer to demand a refund. If a product is faulty a consumer can demand one of the three Rs: a refund, repair or replacement but it’s normally up to the store to decide which of these they choose to offer you. And that’s only when a product is faulty or if the item was mis-sold. However, in your case, the product isn’t actually faulty. It was your son who accidentally damaged the screen of the device and they are therefore under no obligation to repair it, replace it or refund you. I can understand your frustration about the difficulty in repairing the screen but there is no requirement on a company to repair a product damaged by the customer. I suspect that the offer of a discounted tablet might be the best option for you. I need help. Apparently my Grandma has been using a funeral plan and she is on retirement so she has been paying through hand delivery and defaulted for three months now she wanted to pay her arrears because she had no cash. Now they told her that her policy has been cancelled, mind you she has joined the policy since 2001 to date. Please help me. Unfortunately, this is how insurance products work. You pay a monthly premium and in return the insurance company takes on the risk associated with the event you’re insurance against happening. It doesn’t matter whether the policy covers your vehicle, your house, your health or your life, the insurance company will pay the costs (or most of them) if something bad happens. However, the small print of any insurance policy, such as your grandmother’s funeral plan, will contain a clause saying that if you default you won’t be covered. I haven’t seen this particular policy but it’s likely that cover stopped after your grandmother missed a payment or two. It doesn’t matter to the insurance provider how long she’s been with them, when she stopped paying, she stopped being covered. It might be worth asking the insurance provider if your grandmother can pay all the premiums that she missed, maybe they can reinstate the policy? There’s no guarantee that they will but it might be worth a try. If they say no, it might just be simplest for your grandmother to start a new funeral plan. There might be a waiting period but at least she’ll get some cover again. It might even be a good opportunity for her to shop around and get a better policy. This photography company has really disappointed me and now throws a deaf ear. We had made an agreement to get wedding photos and a drone video from them. They promised within 4-6 weeks we would get our packages. 5 months later we are still waiting for the video. Their contract stated 25% of the full payment balance could be paid once we received everything but instead they had forced my mum to make full payment before receiving anything or else they would not continue making our photos. They don’t answer calls or respond to messages and give excuses and they have our money and we have no video. When trying to reach them we heard from several brides that they had done the same thing to them. Some still waiting a year for their video. Or some whom have reported them. I just want to say I am highly disappointed that a seemingly “big” “professional “ business such as theirs has gone this route. I have been wasting my airtime and my time chasing them and now I am forced to take them to my lawyers. They would rather be so greedy and fill their pockets with our money than make their customers happy. I wish to warn some brides as I was not warned. Here we go again. Yet another shady character ruining people’s weddings. I’ve mentioned this many times before but there seems to more than the usual proportion of crooks, liars and cheats exploiting people’s big day. It’s as if they don’t realize that weddings aren’t events like birthdays and Christmas parties that happen again next year. They’re meant to be once-in-a-lifetime events. Ok, maybe twice. They deserve a higher level of care, attention and performance. I contacted your photographer, who will remain nameless for now, and he told me “We have delivered the photos but only left with the video. It will be delivered before Thursday. Thanks”. Well, guess what? He lied. He’s now lied to both of us. The Thursday he referred to was LAST Thursday, not this week. You contacted me last weekend to say that he still hadn’t delivered the video footage so I think we need to escalate this issue. We could go to the authorities such as the Consumer Protection Unit, we could use the Small Claims Court or maybe we should use something far scarier? Something that is really likely to make this guy do what he should. If he doesn’t deliver your video before the next edition of The Voice is published, we’ll name him and his company. Let’s see how he enjoys his reputation being examined by the entire country. Is this a real loan? Can you please help me here. Last month I applied for a loan of P50,000 with certain company called Happy Cash Loans in South Africa through online. Last week they replied me saying is approved and before giving or transferring the money they need administration fees of P3,000 from me paid to cover legal issues through Western Union. I just wanted to ask you whether this is good procedure. Thanks in advance for your response. 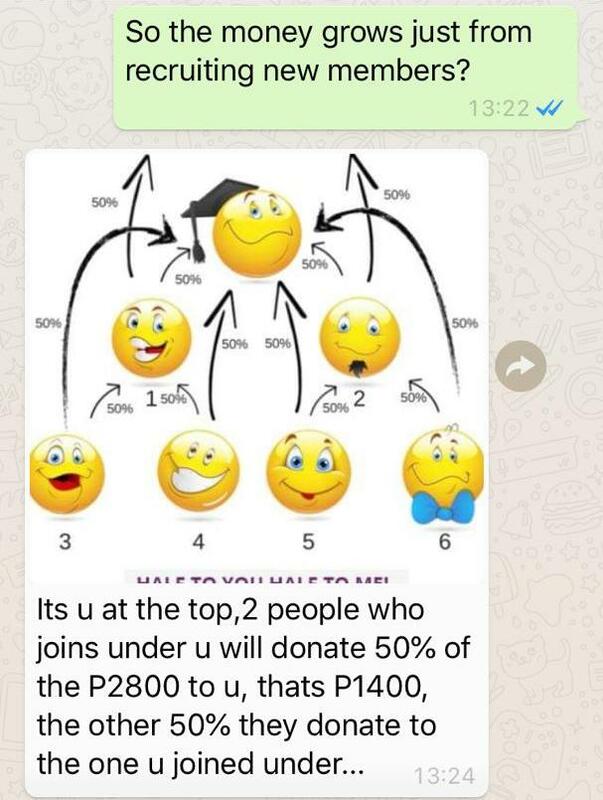 This is undoubtedly a scam. It’s not the first time we’ve reported on these loan scams and the clues are always the same. 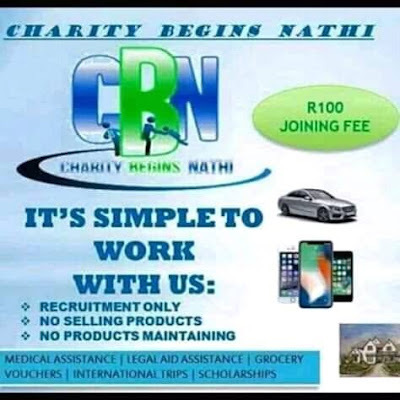 A company, usually claiming to be in South Africa, but often either in France or in French-speaking Africa (which might give a clue about where they’re based) contacts a potential victim either directly by email or more often by advertising on Facebook. They’ll offer loans ranging from small amounts to millions of dollars, all at incredibly low interest rates and they often say to people with poor credit histories. Like in your case, they offer these loans without any serious background checks on the recipient. However, the biggest clue is that they want your money in advance. Why would a lender want money from you before they lend you the money? Have you ever heard of a legitimate bank doing that? Obviously there are costs associated with any loan but real lenders absorb these costs, and you pay them back over the period of the loan. You don’t pay them upfront. 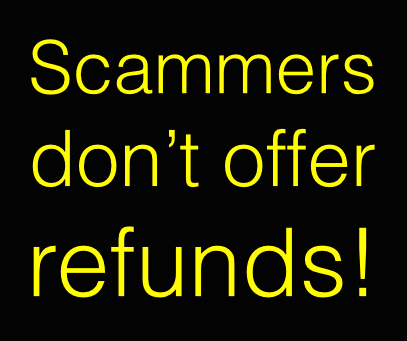 And you certainly don’t pay anything using the scammer’s best friend, Western Union. This is all about the fee they want from you in advance. That’s why these scams are called “advance fee” scams. There’s no loan here at all, it’s all about that fee. If you pay it they’ll just keep on inventing more and more payments you’ll need to make until you either realise you’re being scammed or you run out of money. Please don’t fall for it. Instead spread the word to everyone you know that these scammers are out there and this is how they operate. 1. Who owns the car? Who actually owns this car? Did the dealer ever have the blue book? Did he ever actually own the vehicle that he sold? Is it possible that the previous owner is still the registered owner? Without the blue book, nothing can be certain. My suggestion? Cancel the deal in writing. Quote S15 (1) (e) of the Consumer Protection Regulations which says that when a deal is properly cancelled the seller must “promptly restore” any money paid up front. Then contact Consumer Protection Unit and complain to them. Then call the Police and mentioned Section 308 of the Penal Code (“Obtaining by false pretence”) and then Section 310 (“Cheating”). See if that has any effect. This is like deja vu all over again. Consumer Watchdog first big issue was very similar to this. Fifteen years ago we heard a similar story of a customer injured in a store. The store failed to respond adequately, we reported this, then received a threat of legal action (which we laughed at), kept pestering them and eventually, after they conceded they had lost significant levels of business because of their poor response and the public backlash, they settled. It's very simple. It's the responsibility of store, restaurant, hotel, bank, insurance company, radio station, whoever, the protect the safety o their customers. So maybe the store has a public liability insurance policy and they can claim against that? If yes, the matter is simple. If not, they need to start saving for the penalty a court will impose. Maybe they should settle before it gets to that stage? We contacted various major store chains (not connected to this incident) to get their reactions. They all told us that they have public liability insurance policies. If an incident happens, they fill in forms, the customer provides medical documents, makes an official statement, a claim is submitted and a payment is made. BUT it seems that public liability insurances NOT mandatory. This needs to change. Will contact MITI and urge them to intervene. Some might argue it'll be too expensive but I suspect not as expensive as not having it. How much will it cost if a customer is seriously injured, maybe even dies?A lot more than a small monthly premium. “My brother and my mother went to a store to buy some few groceries. My brother then wrote his phone numbers to enter a competition that is running in their stores. After leaving the store he was called back that he won some groceries and as he was home with the baby cousin, he went with him to the store. Upon arrival he was thrown into the office after people threw insults at him that he is a thief. He later learned that there was a man who went back to the store and accused him of stealing his wallet. He was not allowed to do anything or attend to the baby cousin, and he was promised a good beating because he stole. He managed to call me during that of which I asked my husband to rush there. When he arrived he found him still in a good state and with the police already there. After looking at the store cameras he was cleared that he did not steal the wallet as he did not even come close to the man who reported him. Let's remind ourselves of the case of Molefe vs Scorpion Security in 2013. A lady had her bags searched by a security guard as she left a supermarket without her consent. The humiliation of being accosted in public and being accused of being a criminal angered her so much that she took the security company to court. Those of us who are not criminals have a right to our "dignity as an honest member of society". If this store wants to avoid a ruling against them, they need to start calculating how much they should pay the guy to keep this out of court. Can’t I get my money back? On the 23rd November I made a booking on booking.com at a lodge in Kasane. I was told to provide my credit card details and that the money will be deducted upon check in. My check in date is scheduled for 21st December 2018 and check out 25th December. The money P6,144 was deducted on 26th November instead. I then spoke to a tour guide who advised me that the lodge has no TVs in the rooms. I then called the hotel only to find out that it is true and I was booked in a twin room and not a family room as I had thought. I cancelled the booking and was have been told that the money is non-refundable. I am aggrieved because even if the room was to get occupancy I am still not to get refunded. I will be travelling with small children and would therefore need a room with at least a fridge and TV. I have found alternative accommodation and really want my refund. Please may your esteemed office assist me in this matter. Unfortunately, this isn’t the first time I’ve heard of a situation like this. Even more unfortunately, I don’t have any good news for you. Booking.com and other travel-related web sites are remarkably useful and you can find amazing deals there and from alternatives using apps like Airbnb. I’ve used both and they’re very useful. When you get to your destination you can then use apps like Uber to make getting around so much easier. And much cheaper. Technology has made travelling a lot easier. However, despite all the benefits of technology, it doesn’t mean we can ignore the small print when we buy something. In fact, the technology often makes these things easier to see. I checked the listing for the lodge you booked and it was very clear that there was no TV in the rooms and that a fridge wasn’t there either. What’s more, the listing also described their cancellation policy quite clearly. 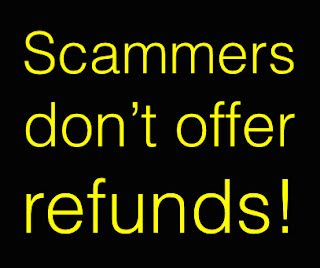 This says that if you cancel less than 29 days before your check-in date then no refund is payable. You only booked the accommodation 28 days before check-in so they’re not obliged to refund you anything. 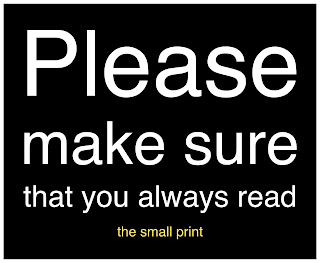 The lesson is that the small print always matters and you need to read and understand every little bit of it very clearly before committing yourself. We had our son at a private primary school. Last term we went to inform the school that we want to remove the child from school but we were told by the Admin that we can’t do it now even though we have paid the full amount for the third term. They told us we can do that beginning of 2019. During the collections of reports we informed the teacher that we want to remove the child from school but we were told it is not possible but in 2019 we can take the child. We told the class teacher that we wanted to shift him but since we paid in full they will not refund us. Our challenge is that this Tuesday I went to school to collect the transfer card I was told to write a letter and state why. They told me the Managing Director says they want us to pay a full term school fees because we didn’t give them notice. Our argument is that we came to school and inform them. We were also advising them to look at their camera and they will see us. We are just told that we can’t be helped that’s all. Giving a term’s notice is completely normal practice with private schools. If you check the terms and conditions in the contract you signed when you first enrolled your child at the school you’ll probably find a clause stating this. What’s also normal is that this must be done in writing. There’s a principle that states that once an agreement is in writing, that writing is the only thing that matters. Subsequent verbal agreements, conversations over the phone and even face-to-face don’t have any value. Only what’s in writing matters. I suggest you write the school a letter giving them notice but starting with the words “As we stated to you on [the relevant date], we are giving notice…”. Stress that the notice was given on that date and let’s see if that works. If that doesn’t work, let us know.